We talked with Hans O’Sullivan, CEO and Chris Farey, CTO of StorMagic during Storage Field Days 6 (SFD6, view videos of their session) a couple of weeks back and they presented some interesting technology, at least to me. Their SvSAN, software defined storage solution has been around since 2009, and was originally intended to provide shared storage for SMB environments but was changed in 2011 to focus more on remote offices/branch offices (ROBO) for larger customers. What makes the SvSAN such an appealing solution is that it’s a software-only storage solution that can use a minimum of 2 servers to provide a high availability, shared block storage cluster which can all be managed from one central site. Their SvSAN installs as a virtual storage appliance that runs as a virtual machine under a hypervisor and you can assign it to manage as much or as little of the direct access or SAN attached storage available to the server. As of last count they had 30K licenses, in 64 countries, across 6 continents, were managing over 57PB of data, and had one (large retail) customer with over 2000 sites managed from one central location. They had pictures of one customer in their presentation which judging by the color was obvious who it was but they couldn’t actually say. One customer with a 1000’s of sites had prior storage that was causing 100’s of store outages a year, each of which averaged 6 hours to recover which cost them $6K each. Failure cost could be much larger and much longer, if there was a data loss. They obviously needed a much more reliable storage system and wanted to reduce their cost of maintenance. Turning to SvSAN saved them lot’s of $s and time and eliminated their maintenance downtime. Their largest vertical is retail but StorMagic does well in most ROBO environments which have limited IT staff, and limited data requirements. Other verticals they mentioned included defense (they specifically mentioned the German Army who have a parachute deployable, all-SSD SvSAN storage/data center), manufacturing (with small remote factories), government with numerous sites around the world, financial services (banks with many remote offices), restaurant and hotel chains, large energy companies, wind farms, etc. Hans mentioned one a large wind farm operator that said their “field” data centers were so remote it took 6 days to get someone out to them to solve a problem but they needed 600GBs of shared storage to manage the complex. SvSAN uses synchronous mirroring between pairs of servers so that the data is constantly available in both servers of a pair. Presumably the amount of storage available to the SvSAN VSA’s running in the two servers have to be similar in capacity and performance. An SvSAN cluster can grow by adding pairs of servers or by adding storage to an already present SvSAN cluster. One can have as many pairs of servers in an SvSAN local cluster as you want (probably some maximum here but I can’t recall what they said). The cluster interconnect is 1GbE or 10GbE. Most (~90%) of SvSAN implementations are under 2TB of data but their largest single clustered configuration is 200TB. SvSAN supplies iSCSI storage services and runs inside a Linux virtual machine. But SvSAN can support both bare metal as well as virtualized server environments. All the storage within a server that is assigned to SvSAN is pooled together and carved out as iSCSI virtual disks. SvSAN can make use of raid controller with JBODs, DAS or even SAN storage, anything that is accessible to a virtual machine can be configured as part of SvSAN’s storage pool. Servers that are accessing the shared iSCSI storage may access either of the servers in a synchronous mirrored pair. As it’s a synchronous mirror, any writes written to one of the servers is automatically mirrored to the other side before an acknowledgement is sent back to the host. Synchronous mirroring depends on multi-pathing software at the host. As in any solution that supports active-active read-write access there is a need for a Quorum service to be hosted somewhere in the environment. Hopefully, at some location distinct from where a problem could potentially occur, but it doesn’t have to be. In StorMagic’s case this could reside on any physical server, even in the same environment. The Quorum service is there to decide which of the two copies is “more” current when there is some sort of split brain scenario. That is when the two servers in a synchronized pair lose communication with one another. At that point the Quorum service declares one dead and the other active and from that point on all IO activity must be done through the active SvSAN server. 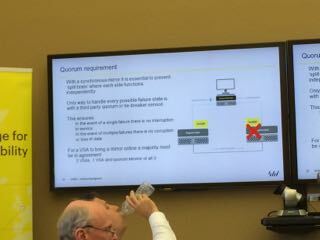 The Quorum service can also run on Linux or Windows and remotely or locally. Any configuration changes will need to be communicated to the Quorum service. They have a bare metal recovery solution. Specifically, when one server fails, customers can ship out another server with a matching configuration to be installed in the remote site. When the new server comes up, it auto-configures it’s storage and networking by using the currently active server in the environment and starts a resynchronization process with that server. Which all means it can be brought up into a high availability mode with almost no IT support other than what it takes to power the server and connect some networking ports. This was made for ROBO! Code upgrades can be done by taking one of the pair of servers down and loading the new code and resynching it’s data. Then once resynch completes you can do the same with the other server. They support a fast-resynch service for when one of the pair goes down for any reason. At that point the active server starts tracking any changes that occur in a journal and when the other server comes up it just resends the changes that have occurred since the last time it was up. SvSAN has support for SSDs and just released an SSD write back caching feature to help improve disk write speeds. They also support an all SSD configuration for harsh environments. StorMagic also offers an option for non-mirrored disk but I can’t imagine why anyone would use it. They can dynamically move one mirrored iSCSI volume from one pair of servers to another, without disrupting application activity. Minimum hardware configuration requires a single core server but can use as many cores that you can give it. StorMagic commented that a single core maxes out at 50-60K IOPS but you can always just add more cores to the solution. The SvSAN cluster can be managed in VMware vCenter or Microsoft System Center (MSSC) and it maintains statistics which help monitor the storage clusters in the remote office environments. They also have a scripted recipe to help bring up multiple duplicate remote sites where local staff only need to plug in minimal networking and some storage information and they are ready to go. Their product lists for 2 servers and 2TB of data storage is $2K and they have standard license options for 4, 8, and 16TB across a server pair after which it’s unlimited amounts of storage for the same price of $10K. This doesn’t include hardware or physical data storage this is just for the SvSAN software and management. They offer a free 60 day evaluation license on their website (see link above). 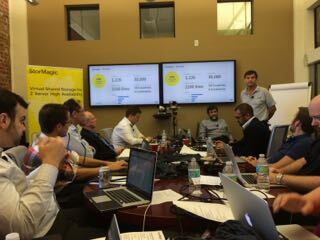 There was a lot of twitter traffic and onsite discussion as to how this compared to HP’s StorVirtual VSA solution. The contention was that StorVirtual required more nodes but there was no-one from HP there to dispute this. Didn’t hear much about snapshot, thin provisioning, remote replication, deduplication or encryption. But for ROBO office environments, that are typically under 2TB most of these features are probably overkill, especially when there’s no permanent onsite IT staff to support the local storage environment. I had talked with StorMagic previously at one or more of the storage/IT conferences we have attended at the past and had relegated them to SMB storage solutions. But after talking with them at SFD6, their solution became quite clearer. All of the sophisticated functionality they have developed together with their software only solution, seems to be very appealing solution for these ROBO environments. Read an article the other day on the analysis of the Arab Spring (Did the Arab Spring really spark a wave of global protests, in Foreign Policy) using a Google Ideas sponsored project, the GDELT Project (Global Database of Events, Language and Tone) file of events extracted from worldwide media sources. The GDELT database uses sophisticated language processing to extract “event” data from news media streams and supplies this information in database form. The database can be analyzed to identify trends in world events and possibly to better understand what led up to events that occur on our planet. The GDELT database records over 300 categories of events that are geo-referenced to city/mountaintop and time-referenced. The event data dates back to 1979. The GDELT data captures 60 attributes of any event that occurs, generating a giant spreadsheet of event information with location, time, parties, and myriad other attributes all identified, and cross-referenceable. Besides the extensive spreadsheet of world event attribute data the GDELT project also supplies a knowledge graph oriented view of its event data. 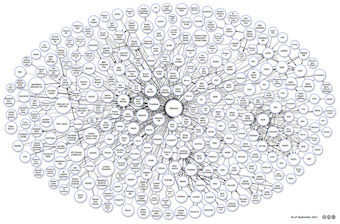 The GDELT knowledge graph “compiles a list of every person, organization, company, location and over 230 themes and emotions from every news report” that can then be used to create network diagrams/graphs to be better able to visualize interactions between events. For example see the Global Conversation in Foreign Policy, for a network diagram of every person mentioned in the news during 6 months of 2013. You can zoom in or out to see how people identified in news reports are connected during the six months. So if you we’re interested, in let’s say the Syrian civil war, one could easily see at a glance any news item that mentioned Syria or was located in Syria since 1979 to now. Wow! Getting back to the chart-of-the-month, the graphic above shows the “protest intensity” by month for the last 30 years with a running average charted in black using GDELT data. (It’s better seen in the FP article/link above or just click on it for an expanded view. ). One can see from the chart that there was a significant increase in protest activity after January 2011, which corresponds to the beginning of the Arab Spring. But the amazing inference from the chart above is that this increase has continued ever since. This shows that the Arab Spring has had a lasting contribution that has significantly increased worldwide protest activity. This is just one example of the types of research available with the GDELT data. I have talked in the past about how (telecom, social media and other) organizations should deposit their corporate/interaction data sets in some public repository for the better good of humanity so that any researcher could use it (see my Data of the world, lay down your chains post for more on this). The GDELT Project is Google Ideas doing this on a larger scale than I ever thought feasible. Way to go. Was reading an article the other day from TechCrunch that said Servers need to die to save the Internet. This article talked about a startup called MaidSafe which is attempting to re-architect/re-implement/replace the Internet into a Peer-2-Peer, mesh network and storage service which they call the SAFE (Secure Access for Everyone) network. By doing so, they hope to eliminate the need for network servers and storage. Sometime in the past I wrote a blog post about Peer-2-Peer cloud storage (see Free P2P Cloud Storage and Computing if interested). But it seems MaidSafe has taken this to a more extreme level. By the way the acronym MAID used in their name stands for Massive Array of Internet Disks, sound familiar? The article talks about MaidSafe’s SAFE network ultimately replacing the Internet but at the start it seems more to be a way to deploy secure, P2P cloud storage. One interesting aspect of the MaidSafe system is that you can dedicate a portion of your Internet connected computers’ storage, computing and bandwidth to the network and get paid for it. Assuming you dedicate more resources than you actually use to the network you will be paid safecoins for this service. For example, users that wish to participate in the SAFE network’s data storage service run a Vault application and indicate how much internal storage to devote to the service. They will be compensated with safecoins when someone retrieves data from their vault. Safecoins are a new BitCoin like internet currency. Currently one safecoin is worth about $0.02 but there was a time when BitCoins were worth a similar amount. MaidSafe organization states that there will be a limit to the number of safecoins that can ever be produced (4.3Billion) so there’s obviously a point when they will become more valuable if MaidSafe and their SAFE network becomes successful over time. Also, earned safecoins can be used to pay for other MaidSafe network services as they become available. Application developers can code their safecoin wallet-ids directly into their apps and have the SAFE network automatically pay them for application/service use. This should make it much easier for App developers to make money off their creations, as they will no longer have to use advertising support, or provide differenct levels of product such as free-simple user/paid-expert use types of support to make money from Apps. I suppose in a similar fashion this could apply to information providers on the SAFE network. An information warehouse could charge safecoins for document downloads or online access. The SAFE network encrypts and splits any data up and then randomly distributes these data splits uniformly across their network of nodes. The data is also encrypted in transit across the Internet using rUDPs (reliable UDPs) and SAFE doesn’t use standard DNS services. Makes me wonder how SAFE or Internet network nodes know where rUDP packets need to go next without DNS but I’m no networking expert. Apparently by encrypting rUDPs and not using DNS, SAFE network traffic should not be prone to deep packet inspection nor be easy to filter out (except of course if you block all rUDP traffic). The fact that all SAFE network traffic is encrypted also makes it much harder for intelligence agencies to eavesdrop on any conversations that occur. The SAFE network depends on a decentralized PKI to authenticate and supply encryption keys. All SAFE network data is either encrypted by clients or cryptographically signed by the clients and as such, can be cryptographically validated at network endpoints. The each data chunk is replicated on, at a minimum, 4 different SAFE network nodes which provides resilience in case a network node goes down/offline. Each data object could potentially be split up into 100s to 1000s of data chunks. Also each data object has it’s own encryption key, dependent on the data itself which is never stored with the data chunks. Again this provides even better security but the question becomes where does all this metadata (data object encryption key, chunk locations, PKI keys, node IP locations, etc.) 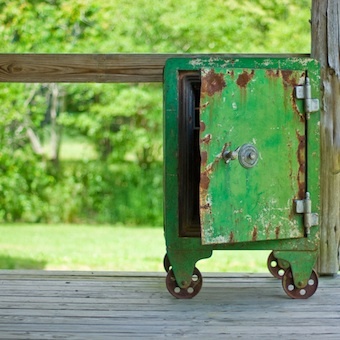 get stored, how is it secured, and how is it protected from loss. If they are playing the game right, all this is just another data object which is encrypted, split and randomly distributed but some entity needs to know how to get to the meta-data root element to find it all in case of a network outage. Supposedly, MaidSafe can detect within 20msec. if a node is no longer available and reconfigure the whole network. This probably means that each SAFE network node and endpoint is responsible for some network transaction/activity every 10-20msec, such as a SAFE network heartbeat to say it is still alive. It’s unclear to me whether the encryption key(s) used for rUDPs and the encryption key used for the data object are one and the same, functionally related, or completely independent? And how a “decentralized PKI” and “self authentication” works is beyond me but they published a paper on it, if interested. MaidSafe code is completely Open Source (available at MaidSafe GitHub) and their APIs are freely available to anyone and require no API key. They also have multiple approved and pending patents which have been provided free to the world for use, which they use in a defensive capacity. MaidSafe says it will take a 5% cut of all safecoin transactions over the SAFE network. And as the network grows their revenue should grow commensurately. The money will be used to maintain the core network software and MaidSafe said that their 5% cut will be shared with developers that help develop/fix the core SAFE network code. They are hoping to have multiple development groups maintaining the code. They currently have some across Europe and in California in the US. But this is just a start. They are just now coming out of stealth, have recently received $6M USD investment (by auctioning off MaidSafeCoins a progenitor of safecoins) but have been in operation now, architecting/designing/developing the core code now for 8+ years now, which probably qualifies them for the longest running startup on the planet. MaidSafe believes that the Internet as currently designed is too dependent on server farms to hold pages and other data. By having a single place where network data is held, it’s inherently less secure than by having data spread out, uniformly/randomly across a multiple nodes. Also the fact that most network traffic is in plain text (un-encrypted) means anyone in the network data path can examine and potentially filter out data packets. I am not sure how the SAFE network can be used to replace the Internet but then I’m no networking expert. For example, from my perspective, SAFE is dependent on current Internet infrastructure to store and forward rUDPs on along its trunk lines and network end-paths. I don’t see how SAFE can replace this current Internet infrastructure especially with nodes only present at the endpoints of the network. I suppose as applications and other services start to make use of SAFE network core capabilities, maybe the SAFE network can become more like a mesh network and less dependent on the current hub and spoke current Internet we have today. As a mesh network, node endpoints can store and forward packets themselves to locally accessed neighbors and only go out on Internet hubs/trunk lines when they have to go beyond the local network link. SAFE applications are less susceptible to denial of service attacks because they can execute on many nodes. SAFE applications are inherently more resilient because the operate across multiple nodes all the time. SAFE applications support faster execution because the applications could potentially be executing closer to the user and could potentially have many more instances running throughout the SAFE network. Still all of this doesn’t replace the Internet hub and spoke architecture we have today but it does replace application server farms, CDNs, cloud storage data centers and probably another half dozen Internet infrastructure/services I don’t know anything about. Yes, I can see how MaidSafe and its SAFE network can change the Internet as we know and love it today and make it much more secure and resilient. Not sure how having all SAFE data being encrypted will work with search engines and other web-crawlers but maybe if you want the data searchable, you just cryptographically sign it. This could be both a good and a bad thing for the world. Read an article this week from Technology Review on The Emerging Science of Computational Anthropology. It was about the use of raw social media feeds to study the patterns of human behavior and how they change over time. In this article, they had come up with some heuristics that could be used to identify when people are local to an area and when they are visiting or new to an area. Also, this past week there was an article in the Economist about Mining for Tweets of Gold about the startup DataMinr that uses raw twitter feeds to supply information about what’s going on in the world today. Apparently DataMinr is used by quite a few financial firms, news outlets, and others and has a good reputation for discovering news items that have not been reported yet. DataMinr is just one of a number of commercial entities doing this sort of analysis on Twitter data. A couple of weeks ago I wrote a blog post on Free Social and Mobile Data as a Public Good. In that post I indicated that social and mobile data should be published, periodically in an open format, so that any researcher could examine it around the world. Anthropology is the comparative study of human culture and condition, both past and present. Their are many branches to the study of Anthropology including but not limited to physical/biological, social/cultural, archeology and linguistic anthropologies. Using social media/mobile data to understand human behavior, development and culture would fit into the social/cultural branch of anthropology. I have also previously written about some recent Computational Anthropological research (although I didn’t call it that), please see my Cheap phones + big data = better world and Mobile phone metadata underpins a new science posts. The fact is that mobile phone metadata can be used to create a detailed and deep understanding of a societies mobility. A better understanding of human mobility in a region can be used to create more effective mass transit, more efficient road networks, transportation and reduce pollution/energy use, among other things. Social media can be used in a similar manner but it’s more than just location information, and some of it is about how people describe events and how they interact through text and media technologies. One research paper discussed how tweets could be used to detect earthquakes in real time (see: Earthquake Shakes Twitter Users: Real-time Event Detection by Social Sensors). Although the location information provided by mobile phone data is more important to governments and transportation officials, it appears as if social media data is more important to organizations seeking news, events, or sentiment trending analysis. Recently, Twitter announced that it would make its data available to a handful of research organizations (see: Twitter releasing trove of user data …). 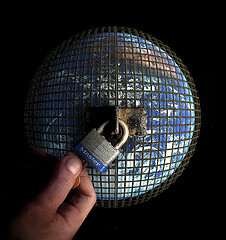 On the other hand Facebook and LinkedIn seems a bit more restrictive in allowing access to their data. They have a few data scientists on staff but if you want access to their data you have to apply for it and only a few are accepted. Although Google, Twitter, Facebook, LinkedIn and Telecoms represent the lions share of social/mobile data out there today, there are plenty of others sources of information that could potentially be useful that come to mind. Notwithstanding the NSA, currently there is limited research accessibility to the actual texts of mobile phone texts/messaging, and god forbid, emails. Although privacy concerns are high, I believe ultimately this needs to change. Imagine if some researchers had access to all the texts of a high school student body. Yes much of it would be worthless but some of it would tell a very revealing story about teenage relationships, interest and culture among other things. And having this sort of information over time could reveal the history of teenage cultural change. Much of this would have been previously available through magazines but today texts would represent a much more granular level of this information. Archeology is just anthropology from a historical perspective, i.e, it is the study of the history of cultures, societies and life. Computational Archeology would apply to the history of the use of computers, social media, telecommunications, Internet/WWW, etc. There are only few resources that are widely available for this data such as the Internet Archive. But much of the history of WWW, social media, telecom, etc. use is in current and defunct organizations that aside from Twitter, continue to be very stingy with their data. Over time all such data will be lost or become inaccessible unless something is done to make it available to research organizations. I believe sooner or later humanity will wise up to the loss of this treasure trove of information and create some sort of historical archive for this data and require companies to supply this data over time. 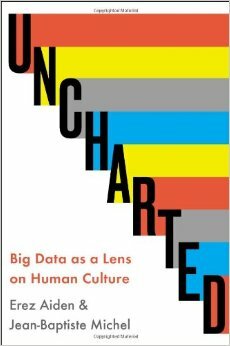 I have been reading a book recently, called Uncharted: Big data as a lens on human culture by Erez Aiden and Jean-Baptiste Michel that discusses the use of Google’s Ngram search engine which counts phrases (Ngrams) used in all the books they have digitized. Ngram phrases are charted against other Ngrams and plotted in real time. It’s an interesting concept and one example they use is “United States are” vs. “United States is” a 3-Ngram which shows that the singular version of the phrase which has often been attributed to emerge immediately after the Civil War actually was in use prior to the Civil War and really didn’t take off until 1880’s, 15 years after the end of the Civil War. I haven’t finished the book yet but it got me to thinking. The authors petitioned Google to gain access to the Ngram data which led to their original research. But then they convinced Google after their original research time was up to release the information to the general public. Great for them but it’s only a one time event and happened to work this time with luck and persistance. But there’s plenty of other information or data out there where we could use to learn an awful lot about human social interaction and other attributes about the world that are buried away in corporate databases. Yes, sometimes this information is made public (like Google), or made available for specific research (see my post on using mobile phone data to understand people mobility in an urban environment) but these are special situations. Once the research is over, the data is typically no longer available to the general public and getting future or past data outside the research boundaries requires yet another research proposal. And yet books and magazines are universally available for a fair price to anyone and are available in most research libraries as a general public good for free. Why should electronic data be any different? What I would propose is that the Library of Congress and other research libraries around the world have access to all corporate data that documents interaction between humans, humans and the environment, humanity and society, etc. This data would be freely available to anyone with library access and could be used to provide information for research activities that have yet to be envisioned. Hopefully all of this data would be released, free of charge (or for some nominal fee) to these institutions after some period of time has elapsed. For example, if we were talking about Twitter feeds, Facebook feeds, Instagram feeds, etc. the data would be provided from say 7 years back on a reoccurring yearly or quarterly basis. Not sure if the delay time should be 7, 10 or 15 years, but after some judicious period of time, the data would be released and made publicly available. Anonymity – somehow any information about a person’s identity, actual location, or other potentially identifying characteristics would need to be removed from all the data. I realize this may reduce the value of the data to future researchers but it must be done. I also realize that this may not be an easy thing to accomplish and that is why the data could potentially be sold for a fair price to research libraries. Perhaps after 35 to 100 years or so the identifying information could be re-incorporated into the original data set but I think this highly unlikely. Accessibility – somehow the data would need to have an easily accessible and understandable description that would enable any researcher to understand the underlying format of the data. This description should probably be in XML format or some other universal description language. At a minimum this would need to include meta-data descriptions of the structure of the data, with all the tables, rows and fields completely described. This could be in SQL format or just XML but needs to be made available. Also the data release itself would then need to be available in a database or in flat file formats that could be uploaded by the research libraries and then accessed by researchers. I would expect that this would use some sort of open source database/file service tools such as MySQL or other database engines. These database’s represent the counterpart to book shelves in today’s libraries and has to be universally accessible and forever available. Identifyability – somehow the data releases would need to be universally identifiable, not unlike the ISBN scheme currently in use for books and magazines and ISRC scheme used for recordings. This would allow researchers to uniquely refer to any data set that is used to underpin their research. This would also allow the world’s research libraries to insure that they purchase and maintain all the data that becomes available by using some sort of master worldwide catalog that would hold pointers to all this data that is currently being held in research institutions. Such a catalog entry would represent additional meta-data for the data release and would represent a counterpart to a online library card catalog. Legality – somehow any data release would need to respect any local Data Privacy and Protection laws of the country where the data resides. This could potentially limit the data that is generated in one country, say Germany to be held in that country only. I would think this could be easily accomplished as long as that country would be willing to host all its data in its research institutions. I am probably forgetting a dozen more considerations but this covers most of it. One that quickly comes to mind is how to compel companies to release their data in a timely fashion. I believe that data such as this is inherently valuable to a company but that its corporate value starts to diminish over time and after some time goes to 0. However, the value to the world of such data encounters an inverse curve. That is, the longer away we are from a specific time period when that data was created, the more value it has for future research endeavors. Just consider what current researchers do with letters, books and magazine articles from the past when they are researching a specific time period in history. But we need to act now. We are already over 7 years into the Facebook era and mobile phones have been around for decades now. We have probably already lost much of the mobile phone tracking information from the 80’s, 90’s, 00’s and may already be losing the data from the early ’10’s. Some social networks have already risen and gone into a long eclipse where historical data is probably their lowest concern. There is nothing that compels organizations to keep this data around, today. Obviously, any social networking data, mobile phone data, or email/chat/texting data should all be available to the world after 7 or more years. Also the private photo libraries, video feeds, audio recordings, etc. should also be released if not already readily available. Less clear to me are utility data, such as smart power meter readings, water consumption readings, traffic tollway activity, etc. I would say that one standard to use might be if there is any current research activity based on private, corporate data, then that data should ultimately become available to the world. The downside to this is that companies may be more reluctant to grant such research if this is a criteria to release data. But maybe the researchers themselves should be able to submit requests for data releases and that way it wouldn’t matter if the companies declined or not. There is no way, anyone could possibly identify all the data that future researchers would need. So I would err on the side to be more inclusive rather than less inclusive in identifying classes of data to be released. 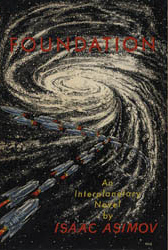 The Uncharted book above seems to me to represent a first step to realizing a science of Psychohistory as envisioned in Asimov’s Foundation Trilogy. It’s unclear whether this will ever be a true, quantified scientific endeavor but with appropriate data releases, readily available for research, perhaps someday in the future we can help create the science of Psychohistory. In the mean time, through the use of judicious, periodic data releases and appropriate research, we can certainly better understand how the world works and just maybe, improve its internal workings for everyone on the planet. The article talks about the fact that maps in Github (using .GeoJSON data) can be now DIFFed, that is see at a glance what changes have been made to it. In the one example in the article (easier to see in GitHub) you can see how one Chicago congressional district has changed over time. Unbeknownst to me, GitHub started becoming a repository for geographical data. That is any .GeoJson data file can be now be saved as a repository on GitHub and can be rendered as a map using desktop or web based tools. With the latest changes at GitHub, now one can see changes that are made to a .GeoJSON file as two or more views of a map or properties of map elements. Of course all the other things one can do with GitHub repositories are also available, such as FORK, PULL, PUSH, etc. All this functionality was developed to support software coding but can apply equally well to .GeoJSON data files. Because .GeoJSON data files look just like source code (really more like .XML, but close enough). So why maps as source code data? Municipalities have started to use GitHub to host their Open Data initiatives. For example Digital Chicago has started converting some of their internal datasets into .GeoJSON data files and loading them up on GitHub for anyone to see, fork, modify, etc. I was easily able to login and fork one of the data sets. But there’s a little matter of pushing your committed changes to the project owner that needs to happen before you can modify the original dataset. Also I was able to render the .GeoJSON data into a viewable map by just clicking on a commit file (I suppose this is a web service). The ReadME file has instructions for doing this on your desktop outside of a web browser for R, Ruby and Python. In any case, having the data online, editable and commitable would allow anyone with GitHub account to augment the data to make it better and more comprehensive. Of course with the data now online, any application could make use of it to offer services based on the data. I guess that’s what Open Data movement is all about, make government, previously proprietary data freely available in a standardized format, and add tools to view and modify it, in the hope that businesses see a way to make use of it in new ways. As such, In the data should become more visible and more useful to the world and the cities that are supporting it. If you want to learn more about Project Open Data see the blog post from last year on Whitehouse.gov or the GitHub Project [wiki] pages. 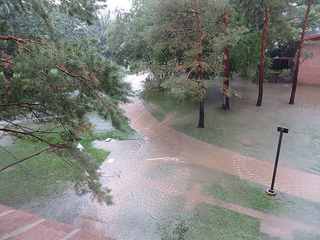 As many may have seen there has been serious flooding throughout the front range of Colorado. At the moment the flooding hasn’t impacted our homes or offices but there’s nothing like a recent, nearby disaster to focus one’s thoughts on how prepared we are to handle a similar situation. As I thought about what I should be doing last night with flooding in nearby counties, I moved my computers, printer, some other stuff from the basement office to an upstairs area in case of basement flooding. I also moved my “Time Machine” backup disk upstairs as well which holds the iMac’s backups (hourly for last 24 hrs, daily for past month and weekly backups [for as many weeks that can be held on a 2TB disk drive]). I have often depended on time machine backups to recover files I inadvertently overwrote, so it’s good to have around. I also charged up all our mobiles, laptops & iPads and made sure software and email were as up-to-date as possible. I packed up my laptop & iPad, with my most recent monthly and weekly backups and some other recent work printouts into my backpack and left it upstairs ready to go at a moments notice. This morning with less panic and more time to think, the printer was probably the least of my concerns but the internet and telecommunications (phones & headset) should probably have been moved upstairs as well. Although we have multiple mobile phones, (AT&T) reception is poor in the office and home. It would have been pretty difficult to conduct business here with the mobile alone if we needed to. I use a cable provider for business phones but also have a land line for our home. So I (technically) have triple backup for telecom, although to use the mobile effectively, we would have had to leave the office. Internet is another matter though. We also use cable for internet and the modem that supplies office internet connects to a cable close to where it enters the house/office. All this is downstairs, in the basement. The modem is powered using basement plugs (although it does have a battery as well) and there’s a hard ethernet link between the cable modem and an Airport Express base station (also downstairs) which provides WiFi to the house and LAN for the house iMacs/PCs. Considering what I could do to make this a bit more flood tolerant, I should have probably moved the cable modem and Airport Express upstairs connecting it to the TV cable and powering it using upstairs power. Airport Express WiFi would have provided sufficient Internet access to work but with the modem upstairs connecting an ethernet cable to a desktop would also have been a possibility. I do have the hotspot/tethering option for my mobile phone but as discussed above, reception is not that great. As such, it may have not sufficed for the household, let alone a work computer. Internet is available at our local library and at many nearby coffee shops. So, worst case was to take my laptop and head to a coffee shop/library that still had power/WiFi and camp out all day, for potentially multiple days. I could probably do better with Internet access. With the WiFi and tethering capabilities available with cellular iPad these days, if I should just purchase one for the office, with a suitable data plan, I could have used the iPad as another hot spot, independent of my mobile. Of course, I would probably go with a different carrier so that reception issues could also be minimized (hoping where one [AT&T] is poor the other [Verizon?] carrier would be fine). Data access outside of the Time Machine disk and the various hard drive backups was another item I considered this morning. I have a monthly, hard-drive backups, normally kept in a safety deposit box at a local bank. The bank is in the same flood/fire plane that I am in, but the tell me it’s floodproof, fireproof and earthquake proof. Call me paranoid but I didn’t see any fire suppression equipment visible in the vault. The vault door although a large quantity of steel and other metals didn’t seem to have waterproof seals surrounding it. As for earthquakes, concrete walls, steel door doesn’t mean it’s eartquake proof. But then again, I am paranoid, it would probably survive much better than anything in our home/office. Also, I keep weekly encrypted backups in the house, alternating between two hard disk drives and keep the most recent upstairs. So between the weeklies, monthlies, and Time Machine I have three distinct tiers of data backups. Of course, the latest monthly was sitting in the house waiting to be moved to the safety deposit box – not good news. I also have a (manual) copy of work data on the laptop, current to the last hard backup (also at home). So of my three tiers of backup every single current one of them was in the home/office. I could do better. Looking at Dropbox and Box for about $100/year/100GB (DropBox, Box is ~40% cheaper) I could keep our important work and home data on cloud storage and have access to it from any Internet accessible location (including with mobile devices) with proper security credentials. Not sure how long it would take to seed this backup we have about 20Gb of family and work office documents and probably another 120GB or so of photos that I would want to keep around or about 140GB of info. This could provide 5-way redundancy with Time machine, weekly hard drive and monthly hard drive backups and now Box/Dropbox for a for a (office and home) fourth backup, with the laptop being a fifth (office only) backup. Seems like cheap insurance at the moment. The other thing that Box/DropBox would do for me is to provide a synch service with my laptop so that files changed on either device would synch to the cloud and then be copied to all other devices. This would substitute my current 4th tier of (work) backups with a more current, cloud backup. It would also eliminate the manual copy process performed during every backup to keep my laptop up to date. I have some data security concerns with using cloud storage, but according to Dropbox they use Amazon S3 for their storage and AES-256 data encryption so that others can’t read your data. They use SSL to transfer data to the cloud. Where all the keys are held is another matter and with all the hullabaloo with NSA, anything on the internet can be provided to the gov’t with a proper request. But the same could be said for my home computer and all my backups. There are plenty of other solutions here, Google drive and Microsoft’s SkyDrive to name just a few. But from what I have heard Dropbox is best, especially if you have a large number of files. The major downsides (besides the cost) is that when you power up your system it can take longer while Dropbox scans for out-of-synch files and the time it takes to seed your Dropbox account. This is all dependent on your internet access, but according to a trusted source Dropbox seeding starts with smallest files and works up to the larger ones over time. So there is a good likelihood your office files (outside of PPT) might make it to the cloud sooner than your larger media, databases, and other large files. I figure we have about ~140GB to be copied to the cloud. I promise to update the post with the time it took to copy this data to the cloud. Power is yet another concern. I have not taken the leap to purchase a generator for the home/office. But now think this unwise. Although power has gotten a lot more reliable in our home/office over the years, there’s still a real possibility that there could be a disruption. The areas with serious flooding all around us are having power blackouts this morning and no telling when their power might get back on. So a generator purchase is definitely in my future. Listening to the news today, there was talk of emergency personnel notifying people that they had 30 minutes to evacuate their houses. So, next time there is a flood/fire warning in the area I think I will take some time to pack up more than my laptop. Perhaps some other stuff like clothing and medicines that will help us survive and continue to work. Food and water are also serious considerations. In Florida for hurricane preparedness they suggest filling up your bathtubs with water or having 1 gallon of water per person per day set aside in case of emergency – didn’t do this last night but should have. Florida’s family emergency preparedness plan also suggests enough water for 5-7 days. I think we have enough dry food around the house to sustain us for a number of days (maybe not 7 though). If we consider whats in the freezer and fridge that probably goes up to a couple of weeks or so, assuming we can keep it cold. Cooking food is another concern. We have propane and camp stoves which would provide rudimentary ability to cook outdoors if necessary as well as an old charcoal grill and bag of charcoal in our car-camping stuff. Which should suffice for a couple of days but probably not a week. As for important documents they are in that safety deposit box in our flood plain. (May need to rethink that). Wills and other stuff are also in the hands of appropriate family members and lawyers so that’s taken care of. Another item on their list of things to have for a hurricane is flashlights and fresh batteries. These are all available in our camping stuff but would be difficult to access in a moments notice. So a couple of rechargeable flashlights that were easier to access might be a reasonable investment. The Florida plan further suggests you have a battery operated radio. I happen to have an old one upstairs with the batteries removed – just need to make sure to have some fresh batteries around someplace. They don’t mention gassing up your car. But we do that as a matter of course anytime harsh weather is forecast.